Bring the galaxy to life with Force Link! Recreate the adventures of a galaxy far, far away with Force Link, a new interactive play system from Hasbro that gives kids the sound effects and phrases from the Star Wars movies right in the palms of their hands! Wear Force Link gear to activate lights, sounds, and phrases in Force Link-activated figures, accessories, vehicles, and playsets! With Force Link, kids can bring their favorite Star Wars adventures to life! (Requires Force Link. Sold separately). When kids wear their Force Link gear and pick up the 3.75-inch-scale Star Wars Resistance Ski Speeder vehicle, they can activate battle and flying sound effects! When they pick up their Captain Poe Dameron figure, they can activate authentic phrases and sounds! Resistance Ski Speeder vehicle features a detachable right wing that can be blasted off for an awesome battle effect, and projectile-firing capacities, so when kids load the included projectiles into the vehicle, they can fire into Star Wars fun! 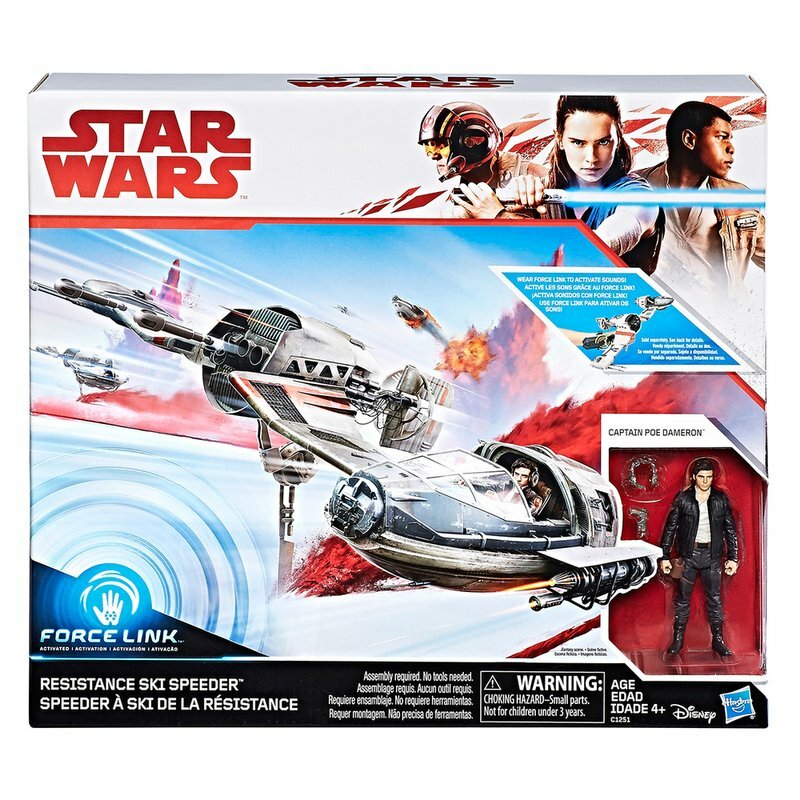 With Force Link toys, kids can control the Star Wars action! May the Force be with you! Additional products each sold separately. Wear Force Link gear (sold separately) to activate figure sounds and phrases and vehicle sound effects!